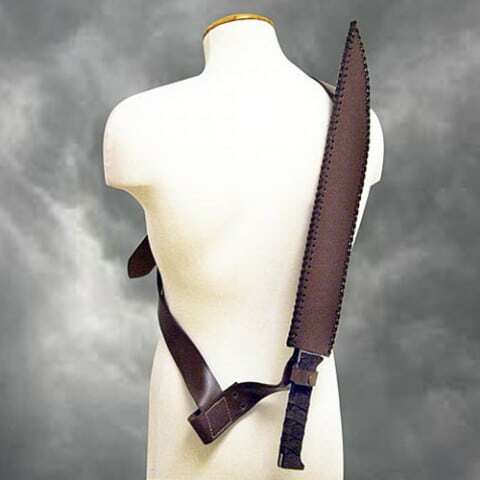 Versatile machete ready for any occasion. Meant to be worn over the shoulder for an underhand left-side draw. Well tempered sharpened high carbon steel 45cm x 5cm blade. 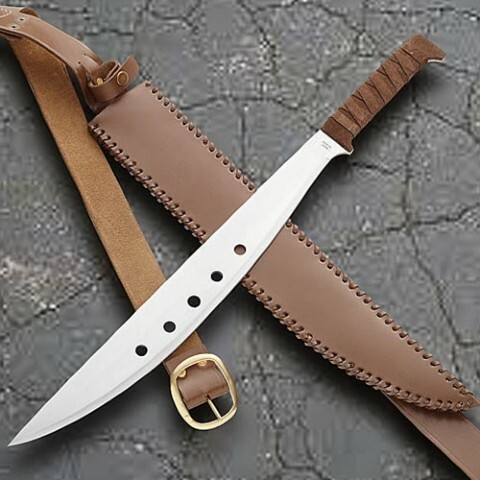 Suede wrapped wood scales sandwich the full profile tang. Overall length 63cm. Weight 0.9kg. 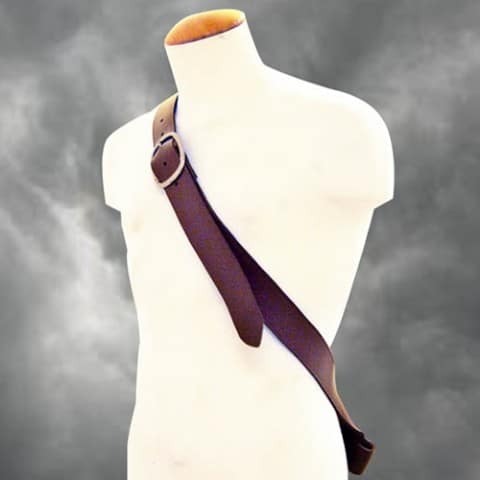 Comes with genuine leather sheath and baldric with solid brass hardware.